Birds’ feathers, or plumage, are some of the most strikingly variable animal characteristics that can be observed by the naked eye. The patterns that we see in birds’ feathers are made up of intricate combinations of mottles, scales, bars, and spots. But, how are these colors and patterns made? We already know why birds have colored feathers. For many birds, plumage coloration may make them less visible to predators by helping them to blend in to their surroundings, or more appealing to potential mates by helping them to stand out from their peers. These aspects are well known. A greater mystery has been how the patterns are created on a cellular level. Dr. Ismael Galván and his team of expert researchers studied plumage coloration to see what types of pigments were present in birds’ complex feather patterns. Plumage coloration mainly happens courtesy of two types of pigments: melanins, which produce a range of black, grey, brown, and orange colors, and carotenoids, which are used by specialized feather structures to generate brighter color hues. Birds cannot produce carotenoids on their own. For feathers with bright colors, birds must consume food items that contain these pigments, and the carotenoids circulate through the bloodstream and to the feather follicles. Birds’ bodies do not have direct cellular control of synthesizing and depositing carotenoids; nor do they have control of the specialized feather structures, which react to the consumed carotenoids with a mechanism that is not regulated by specialized cells. Melanins, on the other hand (or should that be “on the other wing”), are synthesized by in the birds’ bodies in special cells called “melanocytes,” which work together with feather follicles to achieve a fine control of pigmentation. Although studies frequently focus on carotenoids in bird coloration, Dr. Galván and group are the first to test whether melanins are indeed the only pigmentary element that birds’ bodies directly control on a cellular level. Galván says, “Knowing beforehand that different pigments and structures produce different types of colors in feathers, we examined the appearance of the plumage of all species of extant birds and determined if the color patches that they contain are produced by melanins or by other pigmentary elements. We also identified those plumage patterns that can be considered complex, defining them as those formed by combinations of two or more discernible colors that occur more than two times uninterruptedly through the plumage.” This study was very large in scope, examining about 9,000 bird species, with the goal of supporting a general conclusion for all birds, to finally answer the question of how birds develop colorful and detailed patterns. 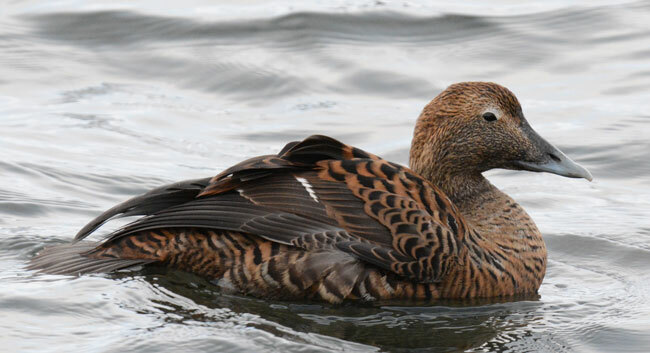 The team found that about 32% of the species studied have complex plumage patterns, with the vast majority of these complex patterns produced by melanins rather than carotenoids. Metaphorically, if the birds were artists, they would use carotenoids as a broad brush to produce color patches, with melanins as a detail paint brush to produce more intricate designs. A few birds are exceptions to this rule: Three bird families do have complex plumage patterns without melanins. Fruit doves, cotingas and one type of stork have unusual colors that appear to be produced by their bodies making metabolic modifications to the carotenoid pigments that they consume. This entry was posted in 2017, International and tagged plumage, research on 6 Aug, 2017 by Birdlife20 owner.